Superior’s Dualflex-AQ process inks have excellent adhesion to paper, board and many films. Superior’s Dualflex-AQ process inks have excellent adhesion to paper, board and many films. Developed to provide the highest performance in trouble free printing. Dualflex-AQ was designed for excellent print density, printing characteristics, and use on high line aniloxes for superb process printing. Superior’s Dualflex-AQ blending inks provide a superior balance of colors and performance using the latest technology. Developed to provide exceptional printability, reliability in batch to batch consistency, and the strength to create the graphics needed for the demanding marketplace. Providing excellent PH characteristics and easy clean-up. Dualflex-AQ is designed to offer maximum versatility for a wide variety of substrate, press speeds, and color strength. 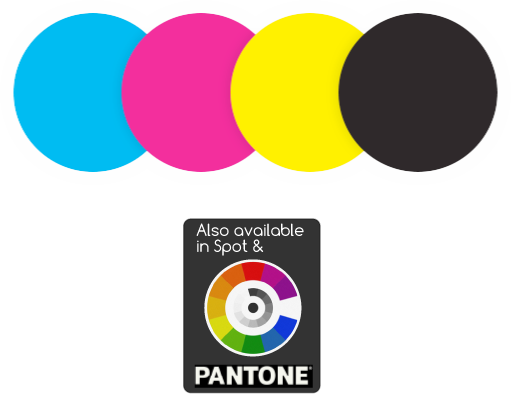 Available in Lightfast inks and Pantone colors. All printing applications should be fully evaluated prior to press application. For more information, please consult your Superior Printing Ink technical representative. Made in the U.S.A.